Warren Smith & Partners is a licensed Water Servicing Coordinator and designer. We co-ordinate, project manage, design and control construction quality for a wide range of projects. We offer a full in house service by our expert team which is quality assured by professional engineers. 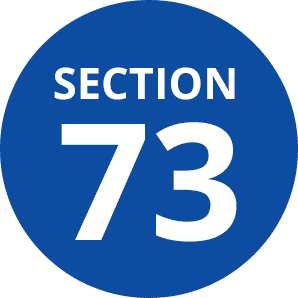 A Section 73 Certificate is issued by Sydney Water confirming that sewer and water is available for connection at a development site. All large scale commercial and residential developments require a Section 73 Certificate. To start the process, you will need to submit relevant architectural plans and the Development Consent for review. There are some developments that are exempt from requiring a Section 73 Certificate and these can be advised by contacting us. For a Sydney Water Section 73 Application go to the Express Section 73 Form radio button. For more information about the Section 73 Application process, please contact Warren Smith & Partners on (02) 8234 8611 or ua.mo1556066025c.hti1556066025msner1556066025raw@e1556066025naj1556066025. For a Sydney Water Building Plan Approval Application go to the Express Building Plan Approval radio button or Contact us. For more information about the Building Plan Approval process, please contact Warren Smith & Partners on (02) 8234 8611 or ua.mo1556066025c.hti1556066025msner1556066025raw@e1556066025naj1556066025.